"The book is beautiful. The packaging is gorgeous. Great for gifts except I can not imagine giving them away. Exquisite." I love love love my journal!! "I have to say that not only do I love the leather cover BUT the PAPER is wonderful. I write nightly in my gratitude journal before going to sleep and look forward to writing more than I have for all the years I have been wiritjng. Beautiful journal! And to think the paper makes such a difference. Thank you for caring so much about the quality. Really exquisite." "This thing is amazing. It is everything I hoped it would be. It is intended as a lifelong art/ spiritual journal project. I am currently outlining and planning my first entries. Can’t wait to make the pages come alive. Breath taking. Bellissimo!" "I purchased the wrap style suede journal as one of my grand-daughter’s high school graduation gifts—something to help her com-memorate her upcoming college days.The quality was just what I was hoping for. The journal had a soft texture, lovely color and classy design. The wine-colored velvet bag in which it was enclosed was a special added touch--as was the suede bookmark that matched the etched cover. I’m keeping that as my treat! Doing business with Epica was easy and their response, prompt. I love the fact that the product was made in Tuscany—the province of my grandparents and a place that I have visited with my granddaughter. I am eager to have her open this gift on her graduation day. I would certainly recommend dealing with Epica to anyone. Sincerely, Linda Condon "
"I am from Canada and order my photo albums from Épiça. The company offers an excellent productt and their customer service is unparalleled. The album arrived in perfect order. And Their response time is outstanding and you feel as a valued customer. I will continue to order from Epica. " "This is the 2nd one we purchased and everything is great. Great quality, fast shipping. No complaints!" "Bought this for my daughter for her birthday, she was very happy with the look and quality, and the fancy bag it came in was a nice touch. over all great experience "
"Even empty, this journal would contribute to the art world. But of course, it is a book with pages and lines to be filled - so empty, it will not remain for long. Receiving an Epica journal is an experience to be savored. From the moment that outer red "book" box is revealed to the next moment when it its ribbon is slowly untied to the final climactic moment when the top is lifted and the beautiful high-quality leather of the journal is exposed - it is an almost illicit kind of adventure. :) I began writing in my latest journal the night I received it. And as always, the feel of my pencil scraping smoothly against the equally high quality paper as it painted a picture through words was greatly relished. " "There are few things better than a gift of a fine leather bound journal. Gold, perhaps, emeralds, maybe, or perhaps a Maserati. For those without that level of income, an Epica journal is the next best thing. They are beautiful to look upon, captivating to hold, and even more lovely to bestow. I own three and have given away more than that. They are gorgeous and worth every penny. " "For my Father's 90th birthday I wanted to give him a journal to record his memories. The Epica leather journal was the perfect gift. The journal arrived in a beautiful presentation box with my Father's monogram in gold. The pages are lined so he can easily write in the journal and reread it as well. It was truly an exquisite gift of the highest quality. Thank you!" "packaging was just right...not wasteful. you guys make great stuff." "It is exactly as pictured and I really like it! I definitely will order from Epica again." "My search and experience with Epica began last year when my daughter was about to get married. The only gift she requested was a photo album of multi-generations of her family. After spending countless hours on the internet searching for high quality leather album minus the traditional 3 ring binder look, I fortunately stumbled on to Epica’s site. They are the only company I have yet to find that carries this type of item. Although I had hoped to spend less, I was quite impressed with the selection, thoroughness of the product description, and potential quality of the product. You definitely get what you pay for, because I have now purchased my 3rd book and can promise you Epica produces an assortment of absolutely BEAUTIFUL items!! I now have gorgeous leather bound books that hold priceless photos, which can be passed down through the generations or just left to enjoy on a coffee table! " Great product and amazing customer service. "I’ve been purchasing these albums through Epica for over ten years. They have a beautifully crafted album with great quality. Their customer service is also wonderful. 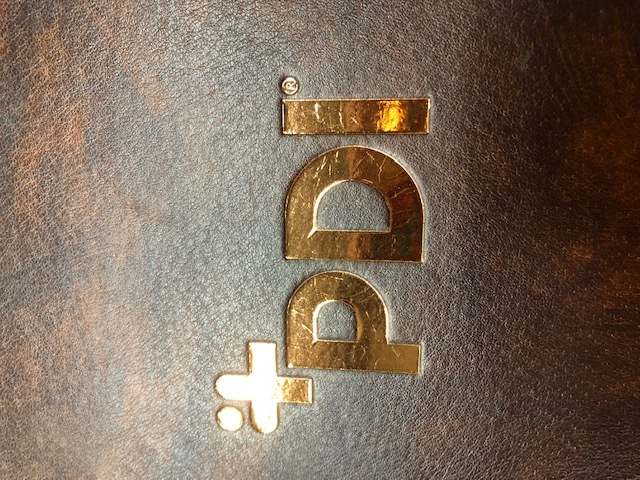 Not often do you find such a well rounded company that can offer great products and amazing service. Epica is one of those companies - hands down. " "Years ago, I began going on mission trips and realized that keeping a journal would be treasured by me and my family in future years, Epica provided me with such a quality product that I have been so impressed with that I never use any other company. Thank you Epica for always exceeding my expectations!" "Everything about this, from the packaging to the journal itself was absolutely superb. Truly impressed and appreciative of the care taken in shipping, and the thoughtfulness of the journal box itself. " "This is the perfect sized journal for me. Both the hard cover and the paper are obviously top quality. The paper is lightweight but handles my fountain pen extremely well with no bleed though, ghosting or feathering. It will take a while to fill this book but rest assured I will be ordering again. Well done Epica, five plus stars !!" 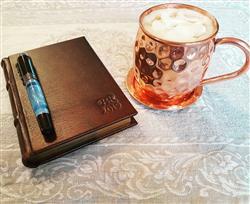 "Perfect size journal for a personal eclectic mix of recipes and intentions. " "Great attention to details. Send me review of the artwork, made changes as requested and send new artwork really fast to me. Fast delivery. Great workmanship. Finished journal looks good, feel great when you write on it. Strongly recommend Epica." "I spent a lot of time designing this journal as a gift for my wife. The team at Epica took an extensive amount of time to answer my questions, verify materials, help me with design, and ensure I was getting the EXACT product I wanted. They were responsive and incredibly helpful. 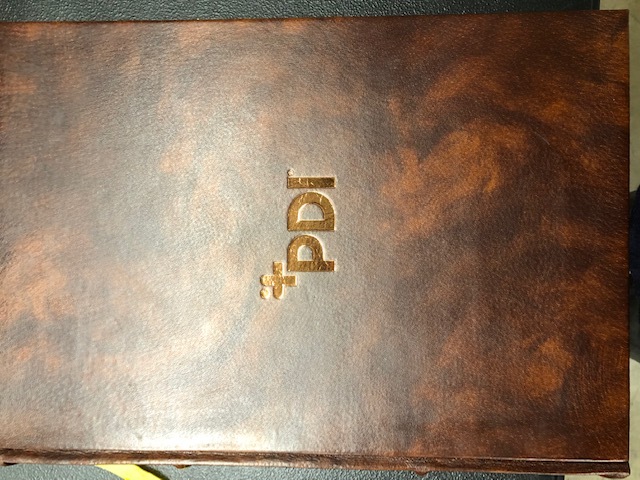 Regarding the product, it is a gorgeous journal. The leather has a great texture and a rich color. The pages are smooth to write on and are a pleasant shade. I really couldn't be happier with how this all turned out. They even shipped it in a very classy box that will make gifting this even more enjoyable. I will definitely be using Epica again, and recommending them highly to all my friends. Thanks for a great experience!" "I was extremely pleased with how easy it was to make the transaction. The company was quick to respond and answered all of my questions. I then received my package on time and was exstatic to see the beautiful packaging it came in to store properly and ensure I will be able to treasure it forever!" "I purchased my first Epica planner in 2018 for my small business and loved it so I purchased the insert for 2019. The delivery was quick and high quality. There was even a thank you note. I love buying from small businesses and Epica is tops!" "This is (I believe) the 4th or 5th time I’ve ordered from Epica, however this is the 1st time I’ve ordered something as a gift. 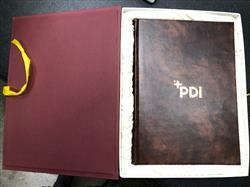 The recipient just text me and they were absolutely thrilled with the personalized embossing and superb craftsmanship. Although I cannot speak personally for the gift wrapping on this particular purchase since it was sent far away as a gift, the previous few orders I’ve made with Epica have been gorgeously gift wrapped that I can vouch for personally. I highly recommend the olde world wrapping paper design and I love the custom box perfectly designed to fit and protect the journals. Well worth the money, and I’m absolutely sure I’ll be purchasing more products from Epica in the future. They are the best retailer I’ve come across with this sort of catalog of products, and I think they’ve really found their niche. Thank you all again for a job well done, my friend is thrilled with their gift. Happy New Year! " 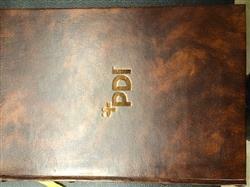 "I had this book monogrammed for my daughter who will soon be graduating from college and on to a job. My daughter was so touched by this beautiful elegant book. This is probably the best gift I’ve ever given anyone." "I've been using Epica classic leather journal with gilded pages for 8 years and recently I got a new one. I'm very pleased with the quality of both paper and leather binding. 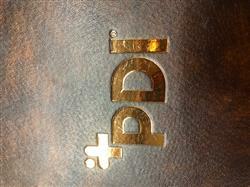 It looks and feels luxurious, I have mine blind embossed with my initials which works very well with dark leather. Paper is cream laid, fairly thick and fountain pen friendly, I've never noticed any bleeding or feathering. Works well with medium sized nib, I haven't tried a finer one. The journal comes beautifully wrapped, with a protection bag to store it in, unless you enjoy the sight of exposed leather spines on the shelf. The only problem I have with it is that it doesn't lie very flat when open." "From ease of ordering to final product received, Epica has overwhelmed me with the highest quality of service and products available. My custom journal gift was shipped within a day of ordering, even a week out from Christmas. It was exceptionally gift wrapped so the presentation to my father was something to be proud of. I would give them more stars, if allowed! Highly recommended!!!" "I emailed about a problem, and Fida called me immediately, she was able to get the problem solved and get the package to me on the date I needed. The album was wonderful." Wonderful Christmas gift for my writer friend! "The ledger was a gift so I personally didn’t use it. It was a great experience ordering and I even got a call with a suggestion about the personalization on the cover. I appreciated the call and it turned out beautiful! Packaging was awesome!!!! Thank you so much! My friend loves it!"